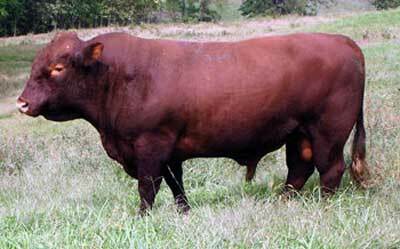 Devon cattle are red in color, varying in shade from a rich deep red to a light red or chestnut color. A bright ruby red color is preferred and accounts for their nickname, the "Red Rubies." The hair is thick and is often long and curly during the winter; however, coats are short and sleek in summer. They are nicely muscled, fine boned and stocky. Mature bulls in good working condition weigh from 1700 to about 2200 pounds. Mature cows range in weight from about 950 to about 1300 pounds.